New Delhi, Feb 12 (IANS) The national capital is experiencing an extended winter on account of frequent and strong western disturbances, 11 which have occurred so far and two more are expected in February, the weather department has said. "In January, the northern plains, including Delhi, witnessed eight western disturbances, while February has recorded 3 so far," an India Meteorological Department (IMD) official told IANS. Two more western disturbances are likely on February 14 (Thursday) and around February 19 bringing more rain, strong winds, thunderstorm and hailstorm to the national capital. "In the last one decade, this year has recorded the highest frequency and intensity of western disturbances over the northern plains," said Mahesh Palawat, director of private weather agency Skymet. 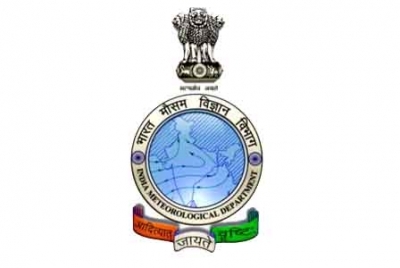 The reason behind the predicted western disturbance on Thursday, regional head of the IMD Kuldeep Srivastava said was the confluence of moist eastern winds from the Bay of Bengal and the western disturbance from the north. "This western disturbance will hit the national capital by Wednesday night. The conditions on Wednesday night won't be noticeable, however, rain accompanied by strong winds, thundershower and hailstorm will intensify in isolated places by Thursday," he said. The minimum temperature is also expected to rise by 3-4 degree Celsius between Wednesday and Friday in northwest India. As per the IMD bulletin, the minimum temperature is expected to reach 13 degree Celsius -- 4 notches above the season's normal -- during the period, while the maximum temperature is expected to hover around 21 degree Celsius. The minimum temperature on Tuesday was recorded at 10.6 degree Celsius, the season's normal, while the maximum was recorded at 23.6 degree Celsius, a notch above the season's average. On Wednesday, the minimum temperature is expected to hover around 11 degree Celsius while the maximum might go up to 24 degree Celsius with the possibility of light rains accompanied by thunderstorm towards the night. On Thursday and Friday, however, the minimum temperature is likely to increase and reach 14 degree Celsius and the maximum drop to 19 degree Celsius due to constant cloud cover, rain, and an increase in humidity. As predicted, the overall air quality of Delhi and adjoining areas deteriorated to "very poor" on Monday and stayed so on Tuesday, after days of improved "moderate" air caused by last Thursday's rain and hailstorm, which washed away pollutants across the city. The overall air quality index (AQI) of Delhi at 4 p.m. on Tuesday was at 342 ("very poor") against Saturday's "moderate". It began to deteriorate from Sunday evening as the wind speed dropped and settled Sunday's AQI at 276 -- considered "poor" on a scale of 0 to 500. In the national capital region, Ghaziabad at 393, Greater Noida at 356, and Noida at 336 also figured in the very poor air category. "This return of very poor air quality in the national capital can be attributed to reduced wind speed since Sunday night. It has caused pollutants to be concentrated in one place," Palawat said. The air quality in Delhi will vary between poor and very poor for the rest of February and only rain would be able to improve the situation to moderate or satisfactory, he added. As per the System of Air Quality and Weather Forecasting And Research (SAFAR), the air quality in Delhi will continue to be in the very poor category till Wednesday, but it will substantially improve to "moderate" by Thursday due to the western disturbance. "The expected western disturbance is visible in eastern Afghanistan as a cyclonic circulation. It is expected to have an impact on the region by Thursday. Scattered rain and high winds associated with the western disturbance will improve the air quality to moderate by February 14," the agency said.